Most visitors arrive by air although cruising is becoming more popular of late. If you are not an Aussie you will need a passport with 6 months validity and most will need a visa; we’ll give you a slide if you are a Kiwi! There are multiple options, but a tourist visa will suffice for the majority of visitors and you can apply online here. If you want to stay longer, you may want to look into getting an Australian work visa. In addition, most international passengers (including Australians returning home) must complete an Incoming Passenger Card (IPC) on arrival. This form must be completed in English, but if this is not your first language samples are available in a number of languages here to assist in completion. Certain items being brought into Australia must be declared on the IPC. Check here for more details. Make sure you complete this form honestly, not only are there hefty fines for non disclosure but more importantly, the things you bring in could severely impact our fragile eco system. Remember the cane toad? Great idea that was! Sydney International Airport allows select passengers to complete their arrival procedures using SmartGate, which speeds up the process dramatically so use it if you can! All weapons must be declared and most will be confiscated (including toys and replicas) so save yourself the hassle and leave them at home. If you are flying business or above you will be treated to an express pass that gives you a dedicated gate through immigration. 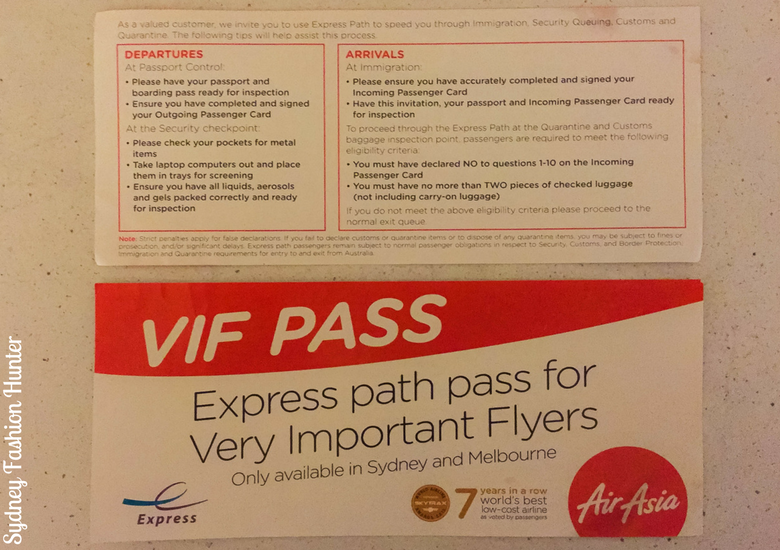 If you are planning to fly in and out of Sydney a few times and are sneaky like me, just flash the pass rather than handing it in so you can reuse it. I have used this Air Asia one three times now (read my review of Air Asia X business class here). Check out Agoda to compare all the airlines side by side to make sure you are getting the best deal on your flights. 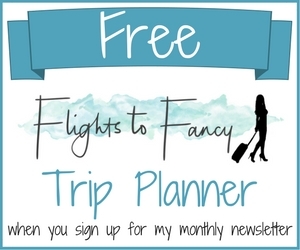 Better yet, read all my tips here on scoring a bargain flight. Sydney has an extensive public transport system which comprises taxis, trains, buses, light rail and ferries and of course you can always hire a car while you are here. We are apparently building ‘Tomorrow’s Sydney‘ to cope with an anticipated population growth of over a million residents in the next 10 years. This will add a second airport, new train links, a metro system and light rail to Sydney’s public transport repertoire. I’m sure it will be fab when it’s finished, but right now we are living in a construction zone and are being asked to ‘be patient’ during the building phase. Taxi’s are expensive but abundant. There are designated taxi ranks throughout the city but you can simply flag one down roadside in most instances. A word of warning, grabbing a cab on the street at 3am is near on impossible due to a mysterious time known as “changeover” where there is never a cab to be found. Just leave a little earlier or later to avoid the hassle. 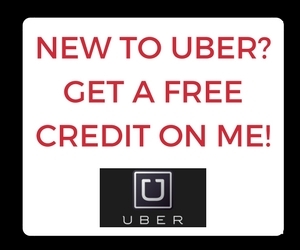 Uber is newish to Sydney and I have never personally used it so I’ll leave that one up to you to decide. Let people get off the train before boarding. We are not as pedantic as Singapore and Malaysia who paint lines on the platform indicating which areas are to be left free, but it is the expected norm that you will not stand in front of the doors and let everyone alight before attempting to board. This is particularly true on the busy city circle line. This is critical at peak hour. Central Station has actually employed people to stand on the platform policing this. Yes seriously. This is what it has come to. Sadly shrill shouts of ‘stand clear of the doors’ is a regular part of my morning routine. Do not make a sound in the quiet carriage. No I mean seriously, not a single sound. The narkiest people in the city sit in these carriages, mostly hoping someone will slip up and do something outrageous, you know like sneeze, so that they can very loudly tell them to be quiet because it is a quiet carriage. Anyone else see the irony in this? Best just to avoid them like I do. They are usually either the first or last carriage and are marked. Don’t bother ME. Yes I mean ME personally. I realise this is public transport and I have no reasonable right to expect not to have to deal with fellow commuters but honestly, why do I always run into the most selfish society has to offer? I swear, on any given day, each and every one of my buttons are pushed by people like the person who stops to drop their kid/dad/lover off but no one else can get around them. There is a kiss and drop zone for a reason. Use it! Or the woman who puts her bag on the seat so that no one sits next to her. I don’t care if it is Chanel lady, move it or lose it! Or the incessant talker. I have my own problems! And what about the great unwashed. I mean that literally by the way; you know the guy, he hasn’t showered for a month and is skimping on deodorant? He is going to sit next to me every day of the week and twice on Sundays. And don’t even get me started on the nutters. For all these people, I reserve a very special look of scorn that is so icy it would freeze off a witches warts. Don’t make me throw it your way! In case you want to avoid me, I’m on the green line daily. Ferries are a wonderful alternative and can serve as a cheap harbour cruise for those on a budget. Most depart from Circular Quay and the Manly ferry which chugs its way over to the delightful seaside suburb of Manly is the most famous of them all. If you are going to be catching a fair bit of public transport you are going to want to get yourself an Opal Card. You can order online before you leave home or buy one from a retailer when in Sydney. 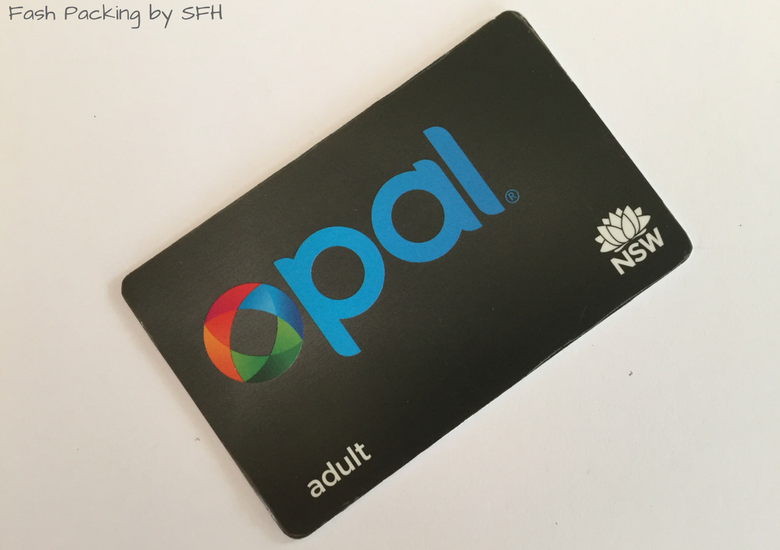 With an Opal card you will never pay more than $60 a week in fares. 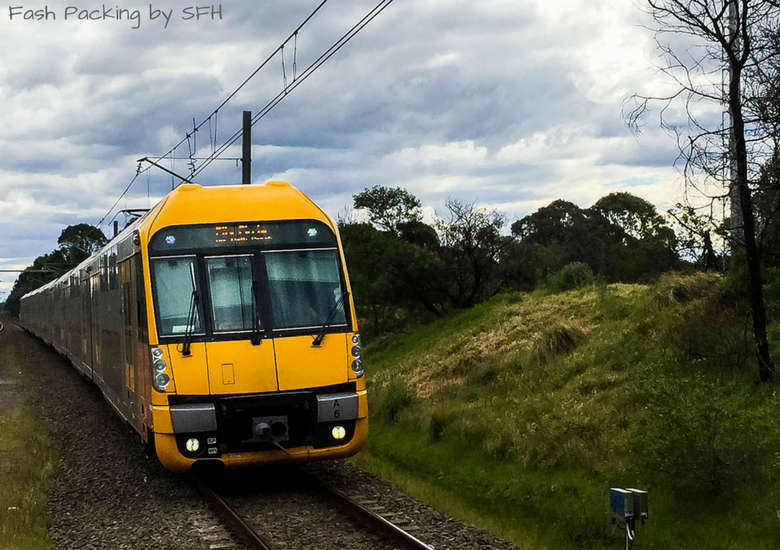 Sundays are the day to explore on the cheap because you can take unlimited trips on public transport in Sydney and surrounds (up to and including Nowra and the Blue Mountains) for only $2.50 so make the most of it. More information here. I’m not a fan of the buses so avoid them if you can, but some areas simply cannot be accessed any other way. Sydney is huge. It’s bigger in size than the two most populous cities on the planet (Tokyo 37 million and Delhi 22 million) and similar geographically to Los Angeles but with around a fifth of the population (circa 5 million vs 17 million). Sydney is one of the most photographed cities in the world and sprawls from the harbour in the East, to the Central Coast in the North, Wollongong in the South and the Blue Mountains in the West. I have lived here all my life (45 years) and still haven’t seen it all. Be selective about what you want to see. Sydney is in the top ten most multicultural cities in the world with around 40% of residents born overseas. Aussie’s use the metric system e.g, Celsius, Kilometers, Metres, Kilograms, and Litres. We use 240 volts. 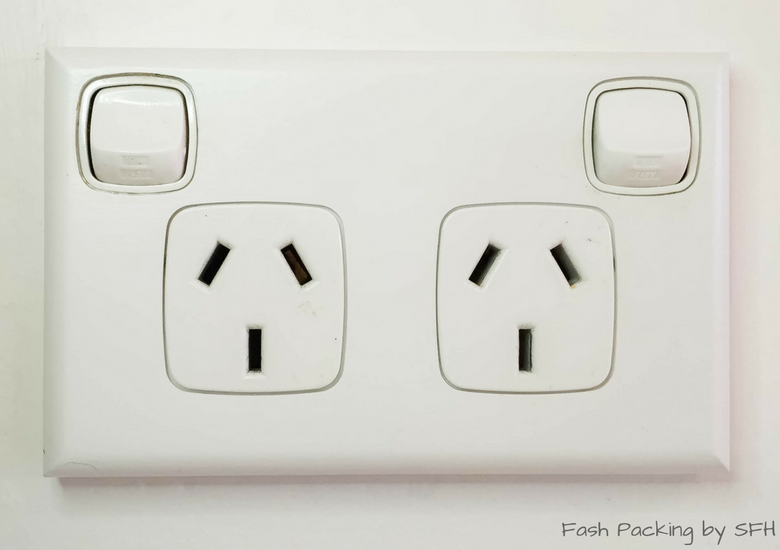 Make sure you have an adapter if you appliances are 110v – 125v unless you want to fry them. Our sun is dangerous. The hole in the ozone layer is not a myth and we live under it. I know you will be tempted to get a tan while you are here but know this: Australia has one of the highest incidences of skin cancer in the world, three times higher than the US and the UK, with one in every two men and three women falling victim. Even those who ‘never burn’ risk damage if they are not careful, so slip, slop and slap while you are here. If you want to go home with a tan, fake it, don’t bake it! On the flip side when the sun isn’t shining check out these great wet weather ideas. Our surf is dangerous. About 25,000 surf rescues are completed every year and 90% are rip related. You are no match for mother nature and the power of the ocean, so if you can’t swim and don’t know how to read the conditions stay out of the water or at the very least swim between the flags and stay in the shallows. Our critters are dangerous. Salt water crocodiles, red back spiders, box jelly fish, funnel web spiders, Irakanji, stone fish and inland Taipans. We have them all and they can be lethal. Just don’t touch them and you’ll be fine. In Australia you are going to want to get your hands on the local currency (Australian Dollar) as most retailers will not accept anything else. AUD$1 = USD0.77, GBP0.50 & Euro0.70. 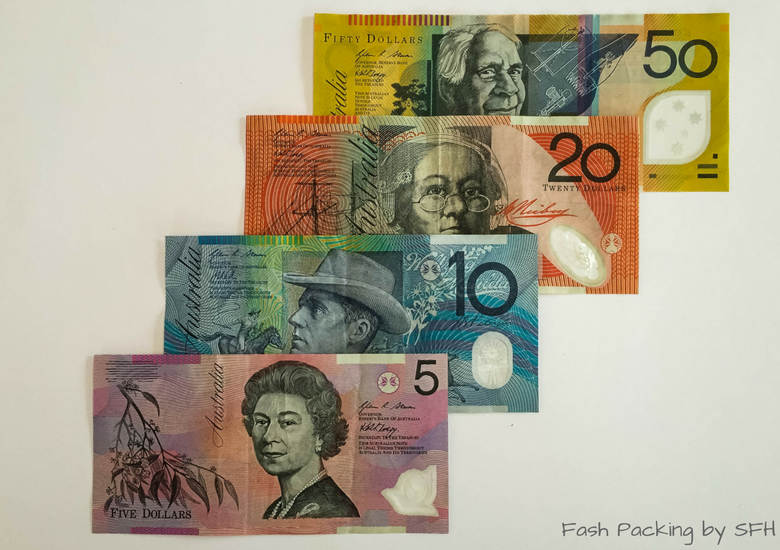 Australia uses polymer (plastic) notes which is really handy when your cash goes through the wash or into the pool. Notes come in denominations of $5, $10, $20, $50 & $100, soz I didn’t have a hunge handy for the photo; they are green if you are wondering. The Aussie $20 is known as a lobster for obvious reasons. We have just released a brand new $5 bill (not pictured) and not all vending machines have been configured to accept them. Don’t be surprised if they get spat out. Seriously even our vending machines have attitude! Coins are 5c, 10c, 20c, 50c, $1 & $2. Even though 1c and 2c coins no longer exist, prices may still reflect 99c etc, not to worry, these will just round up or down at the register. Credit cards and EFTPOS are so widely accepted that I rarely ever carry more than $20 cash in my wallet. Pay Pass (for Visa, Mastercard & Amex) is great for small purchases without the need to enter a PIN. Right off, I will warn you 5 Star Hotels in Sydney are expensive, around $500pn. If this is within your budget (lucky you!) try the Shangri-La or the Four Seasons, which have amazing harbour views. At the other end of the spectrum is a bunk in a backpacker hostel, which will set you back around $25pn, but if like me, you’ve been there and done that, (and never will again!) there are options in the middle ground. 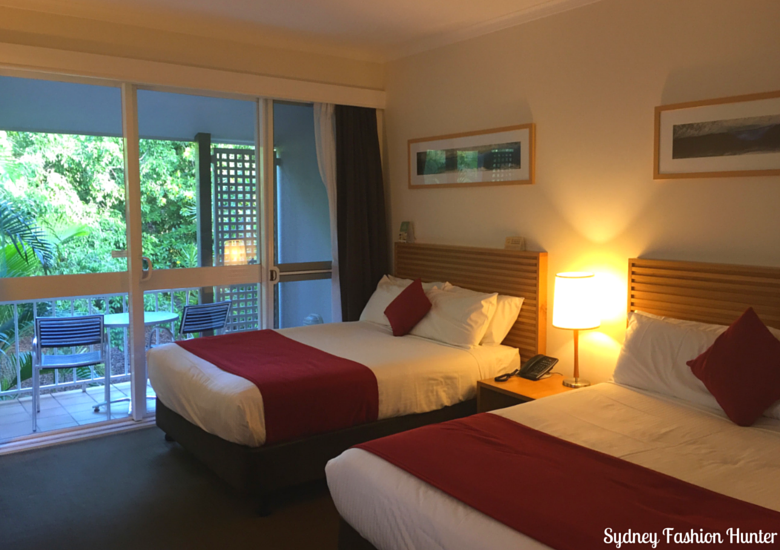 Try the Ibis Darling Harbour (approx $150pn) or AirBnB (and get a credit on me!). If you are bringting little ones in tow, these Sydney hotels are great with kids. Do your research online at Agoda and the like and if you are keen to gamble on getting a room at short notice try Last Minute. Australia has some of the best produce in the world and food options range from a budget burger to a degustation feast and everything in between. Our multicultural nature means you will be spoiled for choice with fantastic Greek, Italian, Lebanese, Indian, Japanese, Turkish, Malaysian, Vietnamese, Thai and Chinese to name just a few. Got money to burn and what a hat or two? Check out Quay, Aria, Spice Temple or Tetsuya’s. Cafe Sydney is one of my very favourite restaurants. It’s just a little bit posh but won’t break the bank, they even give you a blanket when you dine outside in the winter. 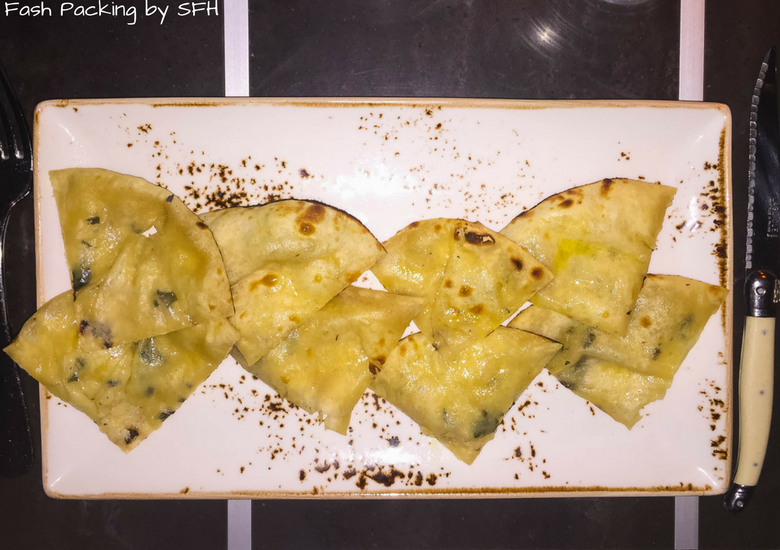 Try the goats cheese and spinach naan and the beef tenderloin (pictured). Not so flush? 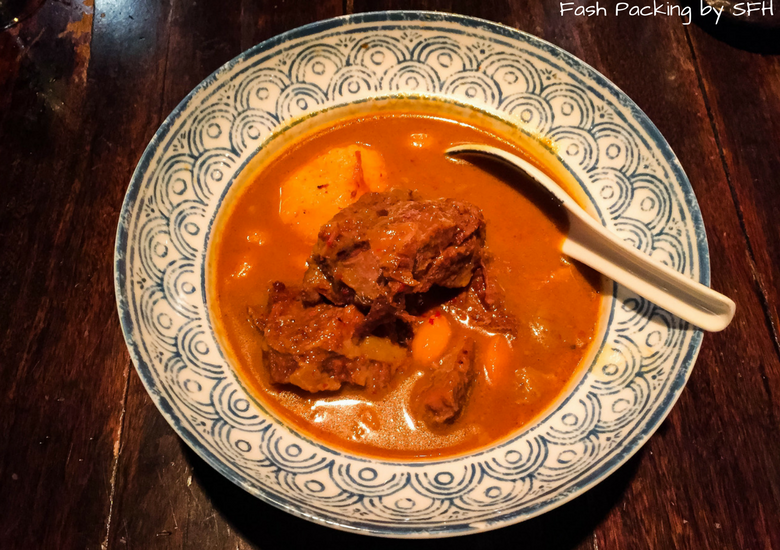 Try Chinta Ria, Chat Thai (beef mussamun pictured – their spelling not mine!) or George’s. Everyone who is anyone has grabbed a pizza (or two!) at The Ivy Pool Bar on a hot summer’s day and you can’t leave Oz without trying a fair dinkum Aussie pie at Harry’s. Looking for a real bargain? Check out Groupon for some great restaurant voucher deals. Want to check out what other diners think before deciding? Head to Trip Adviser where 4,211 Sydney restaurants have been reviewed by people just like you. Australia has a reputation of being a nation of big drinkers. While we may finish just outside of the world’s top ten (all in Eastern Europe), we certainly love a tipple and you will never be too far away from an icy cold beer. For a cocktail with a view try Blu Bar on 36, Opera Bar or O Bar. Grandma’s is a great boutique small bar, The Establishment caters well for the after work suits and Zeta is always good for one or two. Pub crawling is best around The Rocks. Try The Lord Nelson (Sydney’s oldest pub), The Argyle, The Observer, The Mercantile and finish up at The Orient for a drunken dance to a live band at the end of the night 🙂 Clubbing is no longer my style but you can try Chinese Laundry, Marquee or Home and as the sun is rising on the next day from your big night out you can always squeeze in one more in Kings Cross. Hard partiers should be aware that Sydney has introduced harsh new laws for the CBD in an effort to curb drunken violence, including 1.30am lockouts and no further drinks after 3am. It is certainly a different world to when I was young and it was not so unusual to be still drinking at 9am from the night before …. Taxes are a fact of life and in Oz you will pay a 10% goods and services tax on most items. Don’t worry though, you can claim some of it back on departure. Check here to see if you are eligible. In Oz the sticker price already reflects the GST unless stated otherwise. While there is no official language of Australia, English is the most common. Due the the multicultural nature of the locals, around 250 languages are spoken here. Unlike the US and the UK accents do not vary every few kilometres, but you will probably be able to pick up the difference between Aussies from the city and Aussies from the country. We speak fast and mash our words into each other which can sometimes make it difficult to pick up exactly what we are saying. I have had to repeat myself many, many times to be understood overseas (particularly over the phone) and I even got asked once at customs in the UK what language of interpreter I wanted. Seriously? Maybe it’s just me! We don’t say “Sheila”, “G’day” or “throw another shrimp on the barbie” nearly as often as you would like to think we do, but we do have a very unique way of butchering the Queen’s English. 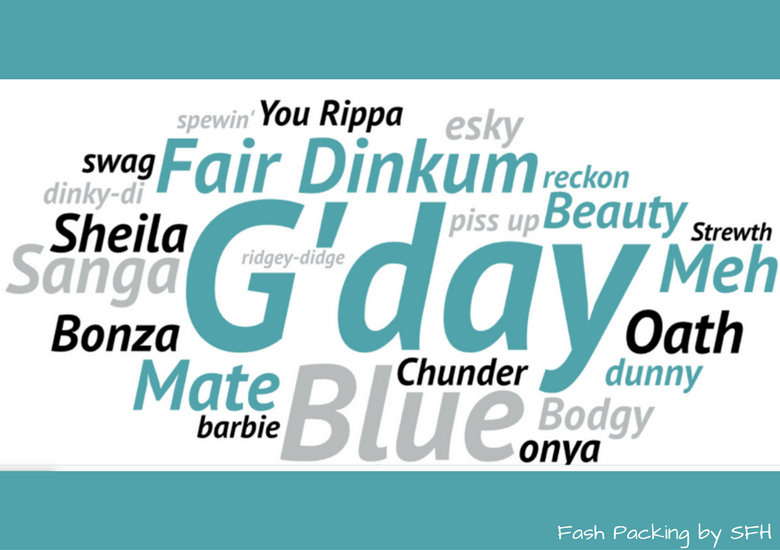 Don’t worry you’ll pick it up in no time 🙂 Check out this list of Aussie-ism’s courtesy of my blogging buddy LC which is much more comprehensive than I could have ever have put together. Word of warning to those from the US: fanny and rooting mean something very different down under, so it’s best to just avoid using them while you are here. 1. 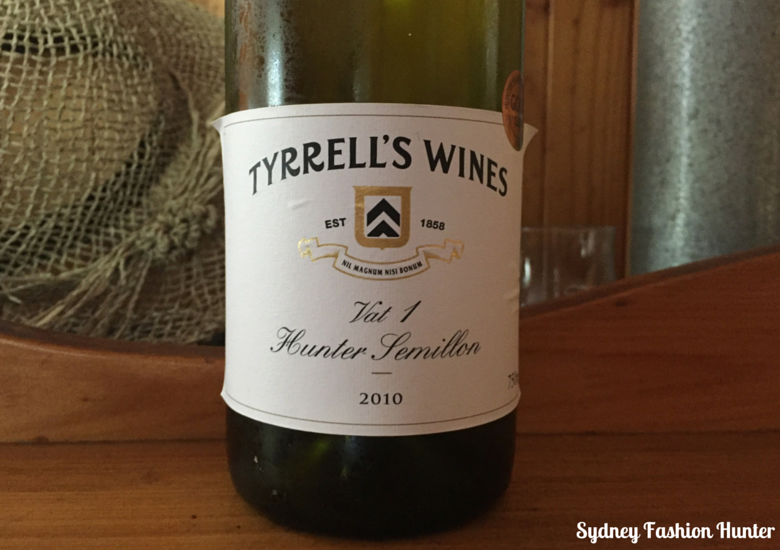 The Harbour – You can’t avoid it and why would you want to? Whether you choose to sail, kayak, cruise, climb the bridge, jet boat, sea plane, helicopter or catch a ferry, just get out there! If you visit in June make sure you check out Vivid and of course on New Year’s Eve on Sydney harbour is the place to be. Pokemon Goers will be thrilled to know Circular Quay is a great place to play 🙂 For hundreds more things to do at deep discounts check out Groupon. 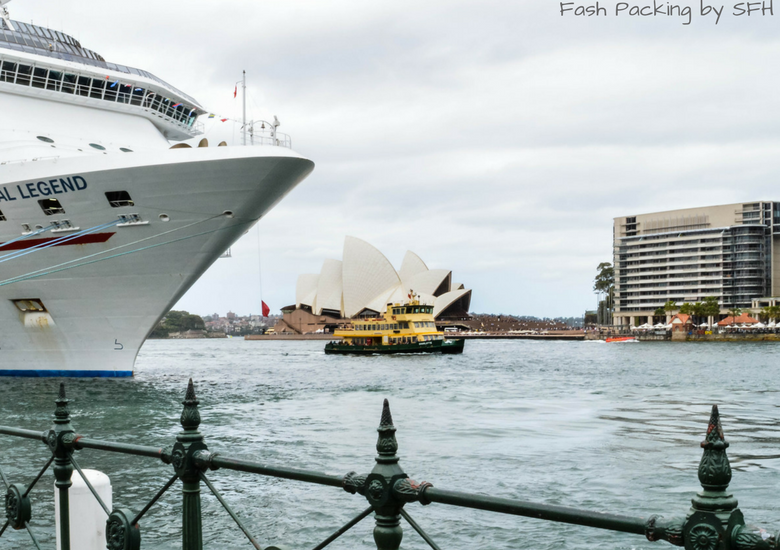 If you only have a few days in Sydney, the harbour needs to be at the top of your list. 2. The Beach – Bondi is probably the most famous but I like Cronulla in the South (pic below). Make a day of it and catch the blue line from Central, Town Hall or Martin Place, hop off at Cronulla and stroll down to the sand for a swim. Grab a casual lunch with a view at The Hogs Breath, walk it off along the beach path then head back for a cold beer or two from Northies. If you feeling adventurous take a surfing lesson or try scuba diving. If your need to sort out your tresses after the surf visit my sister-in-law at Toni & Guy before heading to dinner at Opah who will sort you out with all you can eat Greek for $40. Still don’t wanna leave? Stay a while at Rydges. 3. The Burbs – Remember I said Sydney was huge? Well it would be a crying shame if you never ventured outside of the CBD. Get out a little! 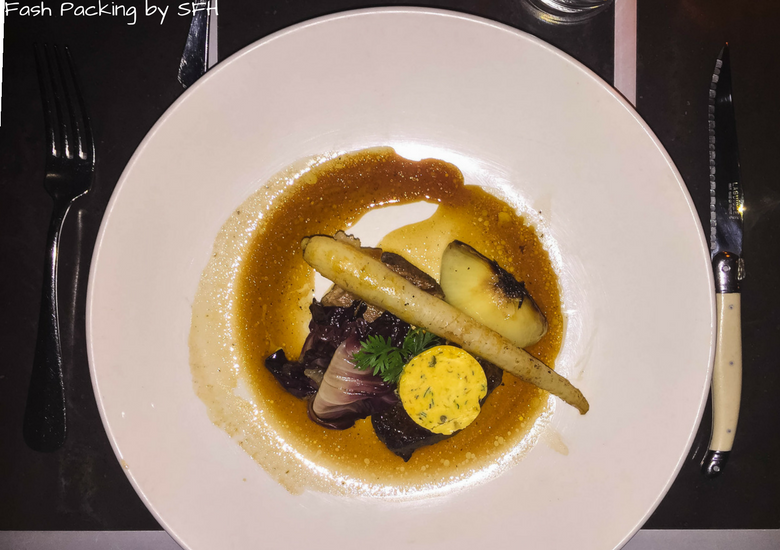 Try Leichhardt, Sydney’s Little Italy and a great place for dinner. The best Thai I have ever eaten (including in Thailand!!!) comes from Boom Boom Thai in Panania, but there is little else there. Catch the ferry to Watson’s Bay and eat fish and chips from Doyle’s on the deck with a beer or two. Try white water rafting in Penrith or a day trip to the Blue Mountains. In summer Wet n Wild is always a great day out for the young or the young at heart. Bondi Icebergs is an institution; swim in the famous baths or just grab a bite in the Iconic restaurant. Inner city Newtown has an artistic vibe, is littered with cheap eats and people watching is always a blast. Row a boat, fire up the BBQ or swim at one of the fab beaches in The Royal National Park is Sydney’s South. 4. Meet The Natives – We have lots of unique species. 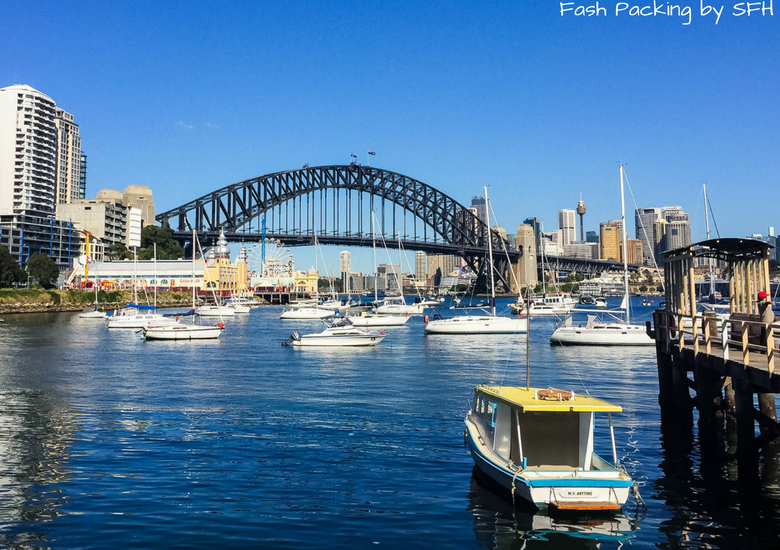 Try Featherdale Wildlife Park, Sydney Aquarium, or Taronga Zoo. For a unique experience why not roar n snore. Did I ever tell you guys I have a pet snake? 5. 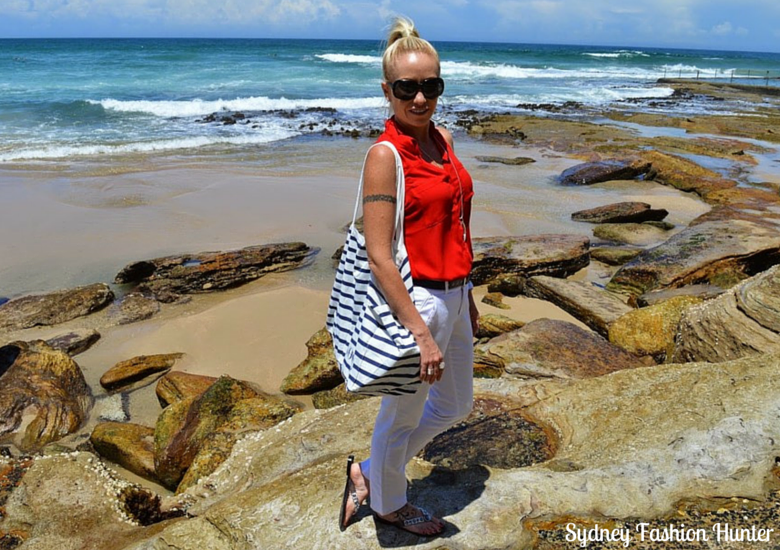 The Shops – I am a style blogger after all lol. Everyone wants to take home a little souvenier when they visit somewhere new, but skip the tat and take home an Aussie designer piece instead. My favourites include Sass & Bide (Bondi or Paddington), Collete Dinnigan (David Jones) or Akira Isogawa (Strand Arcade). Myer and David Jones have your department store needs covered but if you are expecting Nordstrom, Saks, Neiman Marcus or Bloomingdales you are going to leave disapointed! Hit up Pitt St Mall and surrounding streets for all the labels including Dior, Jimmy Choo, Chanel, Prada, Tiffany & Louboutin. Westfield Bondi Junction is my pick of the malls and try your luck bargain hunting at the outlets in Homebush and Birkenhead. Paddinton boutiques always offer something unique and if markets are more your thing try The Rocks or Paddy’s for a nice way to pass an afternoon. 6. 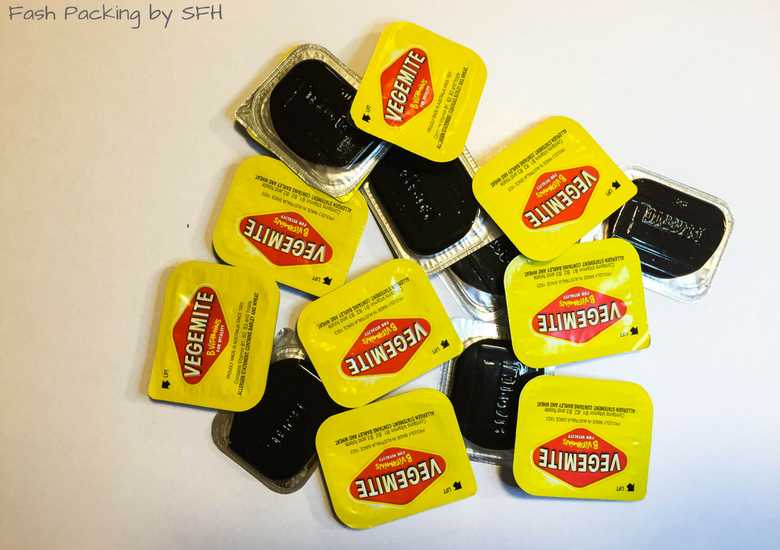 Taste Local Delicacies – Vegemite (spread it thinly! ), Kangaroo, Barramundi, Sydney Rock Oysters, Yabbi’s, Balmain Bugs, Tim Tam’s and Fairy Bread. Try them all! 7. Catch a Game – NRL is our game and is played during winter. Get your tickets here. Go the Sharks!!! 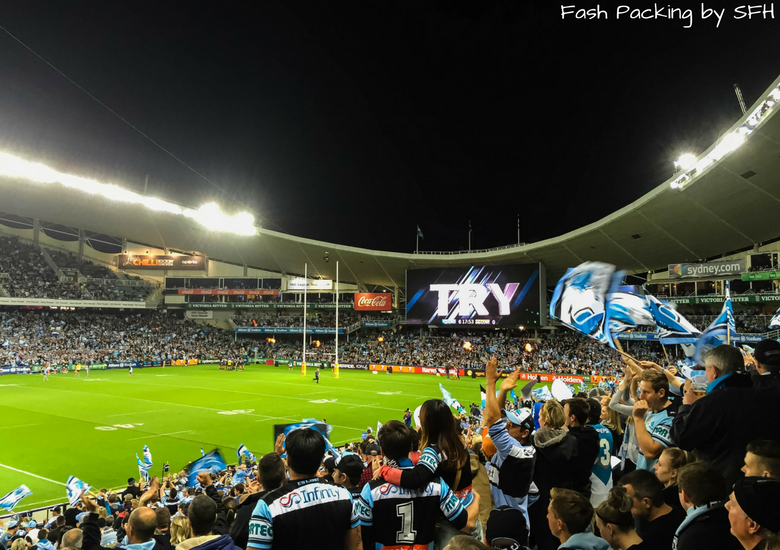 If you’re visiting Sydney mid season, catch one of the three annual State of Origin games. 8. 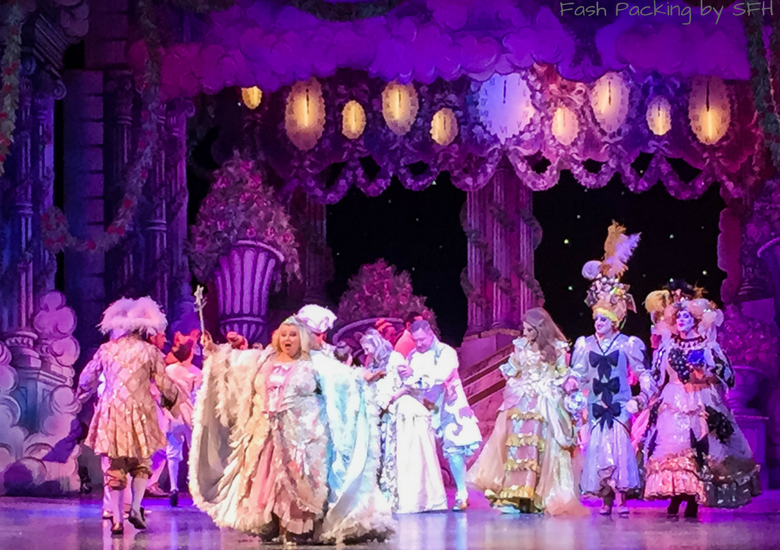 Visit The Theatre – OK so it’s not Broadway, but Sydney gets all the big shows and there is always something on. Check Ticketek and Ticketmaster for the latest. 9. 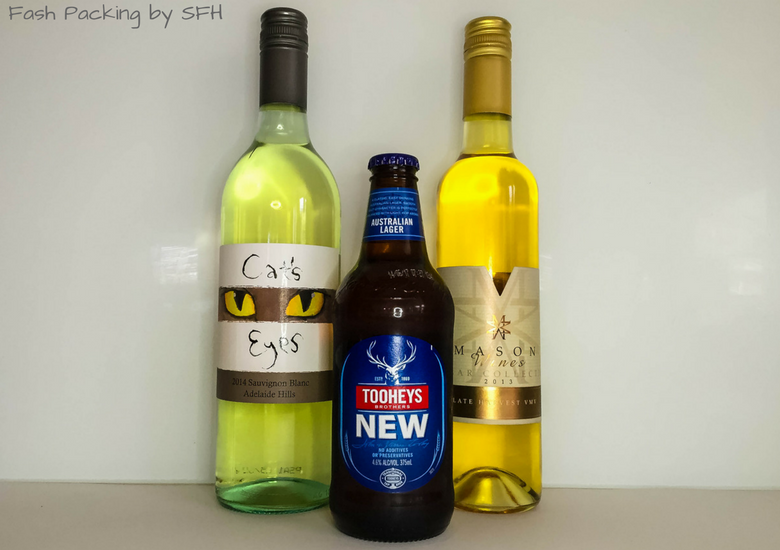 Sample Some Aussie Wine – Exported all over the world but it never tastes better (or costs less!) than when you enjoy it at home. If you have the time take a day trip to the Hunter Valley, if not try Wine Odyssey or Ananas for a great selection. 10. Relax! – Visit a day spa, have a picnic in the park, drop a line in the water, or enjoy a quintessential Australian BBQ. Aussies are renowned for their laid back lifestyle so do like the locals and take some time out to relax and unwind. I loved this post! I really found these facts interesting! I espcially liked how you explained the words you used, that are different. I often read some words and then I remember them and then auto correct corrects me, I and like, I was sure they were correct and I now I know, where they are correct! 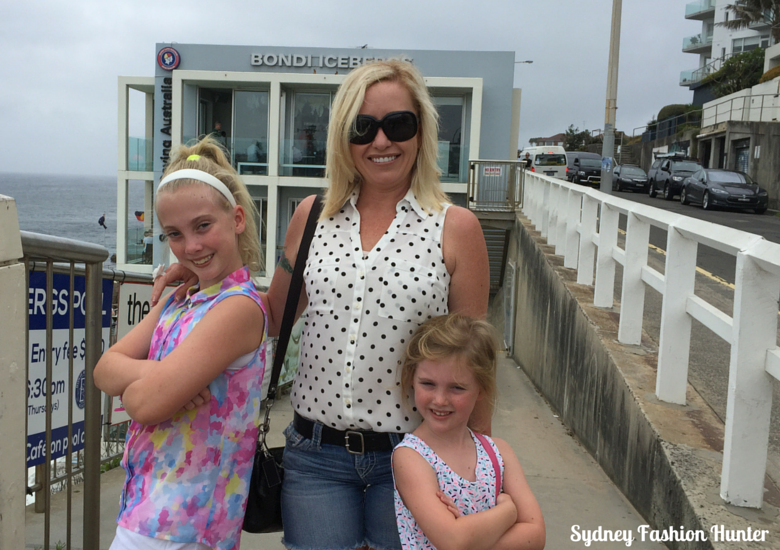 I have heard so many awesome things about Sydney! My Australian friends are all from Melbourne and they and they went to Sydney for a trip a few months ago. Wish I was able to go with them! Hope you make it to Sydney one day Nina ? I’ve met a wonderful australian friend this summer while in Scotland, this and your description are making my feet itchy! Can’t wait to visit Australia! That’s awesome Iris! Come in the summer (Dec – Feb) to see Australia at its best ? Queensland is lovely too Malaika but Sydney should be at the top of your list ? Im impressed. Thats the best Sydney guide I found in the internet so far. I have been planning my journey to this place for last one year. Thanks Damiansz. Hope you enjoy Sydney. I would love to visit Sydney one day. And these are some great tips. A friend mine might go a while to Australia for work. So that would be the perfect excuse for me to visit her. Australia is for me literally the other side of the world. But I’d love to visit. 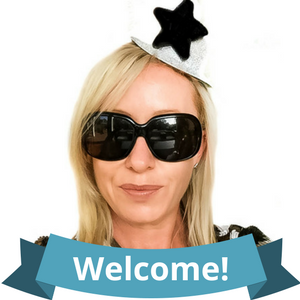 You should definitely try if your friend is here Carola. ? This post was definitely better than all the travel guides provided. I have always been an admirer of the place and this detailed description is going to be very helpful in future for me. Thanks for sharing. Hope you get to use it when you next visit Sydney Laveena. Great guide, full of handy tips and funny at the same time – I laughed out loud several times while reading. I love Australian money, it is so colorful and unbreakable, but I had no idea your internet was so terrible. I need to show this to my hubby, he is an IT and he was even searching for a job in Australia for a while. Tell him to come over and fix it Maja ? This was very elaborate and in detail. Very helpful for foreign tourists to your place. It is more like a booklet than a blogpost. Do make an e-book out of this. Thanks Indrani! That’s a great idea ? everyone has said a few from what i would have said, i once had a relative who stayed over there and he said a few of these to me way back so its more like i can now confirm these, well in all, its such a wonderful place to visit, as they are every traveler/visitors dream destination, most especially now that Christmas is around the corner. It really is a wonderful place to visit Alex ? I love cities which tells me which way to look when crossing the road. I am always getting it wrong. 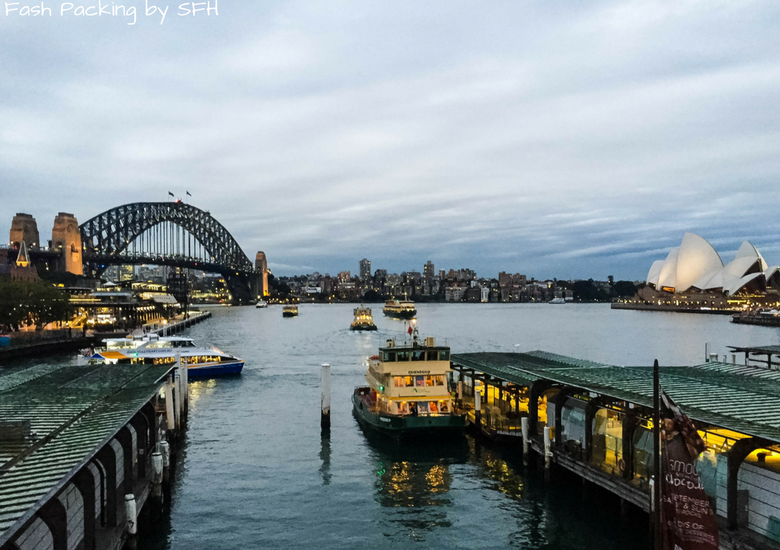 I loved Sydney harbour but I didn’t have much time in Sydney itself so would love to return. Your post is jam packed with information. Thanks for sharing this with us. Lol I have almost got skittled a few times looking the wrong way in the US and caused uproar once in Mykonos driving my rental the wrong way around a roundabout … Oops! I lived to tell both takes though ? Visiting Sidney is on my “things to do before I die” list. Such a gorgeous city! Nice photos! Thanks Filipa I hope you make it one day ? Thanks Sheri. I hope you friend has a great time and enjoys my guide ? Great way to show off your hometown! A lot of Australians are very proud of their country-continent. Who wouldn’t? I know a lot of Filipinos there, and they swear the love the culture. Would love to see it for myself! There is a lot to be proud of Sam ? Sydney is definitely included in my travel bucketlist. I would like to explore the city like a local and enjoy every moments of it. ? I’ll use your post as my helpful guide. Thanks Blair! I hope you make it to Sydney is the not too distant future. ? Adding Sydney to mg bucketlist……….. Awesome Kimberly. I promise I am not biased in the slightest ? I hope you make in someday Sandra and have a great time here ? Wow. I wish I was going to Sydney. As a fellow Commonwealther (Canadian here) I appreciate the added u in your words, and the switching of r’s. And I’d heard terms like arvo and that before, but had no idea what it meant, so that list of Australian slang will come in handy when I eventually get to visit Sydney and the rest of Australia (hopefully sooner than later). The u and r thing seriously drives me nuts with spell check lol In Oz if it can be shortened it will be ? I hope you love Sydney Alouise. I was in Canada about 4 years ago but only for a few days. Time to go back soon I think! Sydney looks amazing! I have been meaning to come visit for a while. I think it’s hilarious that you have quiet carriages on the train! That’s a good tip because I think a lot of people might get on them by accident and make some noise! Thanks for all the info! You’ve covered everything! It happens Brittany and chaos ensues lol I hope it doesn’t happen to you! ? Sydney looks so beautiful, I hope I can visit some day, has always been on my top destinations list. Plus, I love chocolate, so I bet I’ll enjoy there 🙂 In fact, I want to go now and enjoy Bondi beach. Thanks for the detailed article. He must be a lovely guy then Deni lol. Are you talking about Newtown by any chance? 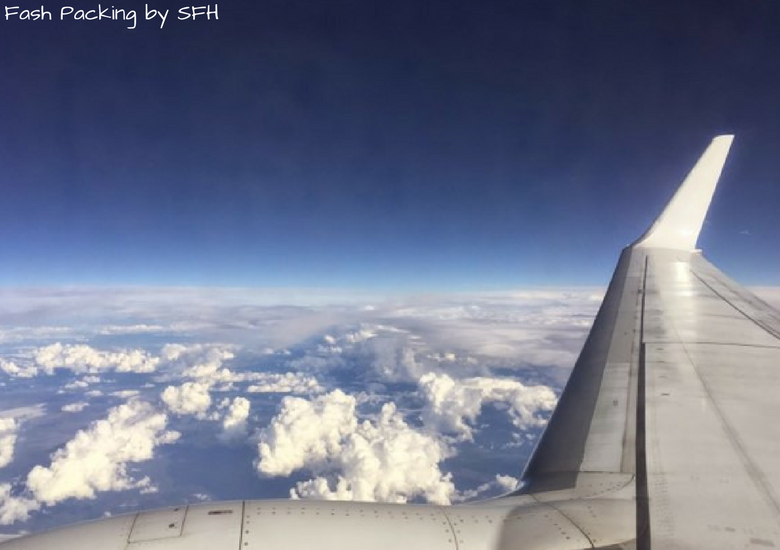 I’m excited to read this post as I will be in Sydney for the entire month in December, with a few small trips to the coast! I pinned this guide so I can come back and reference it. I’ve heard the food is really good, so I’ll be trying some of these restaurants for sure, except the Vegemite, my boyfriend already made me try that once haha. Lol Susanna how can you not like Vegemite? It’s delish! Oh hope you have a fabulous time in Sydney. There are a lot of great places up and down the coast from Sydney and I probably explored them all. December is a great month to come. I hope the weather will be fabulous for you! I really enjoy reading your posts. And going across Australia is on my to do list by 2018, and this article has really helped thank you 🙂 Looking at your photo’s makes me wanna go there sooner. A lot of people don’t realise Ree … And it’s still spreading! 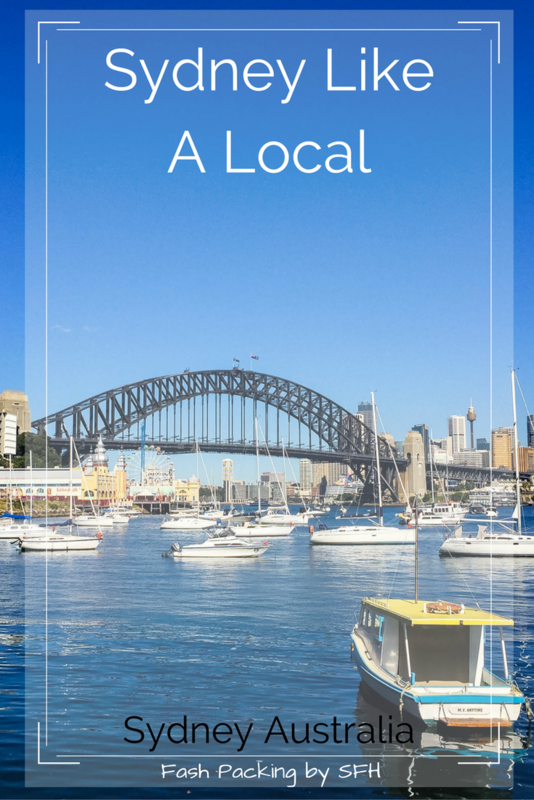 Australia, and Sydney especially, is at the very top of my travel bucket list! Looks phenomenal and I can’t wait to visit someday. Lol about the slow internet, I live in Costa Rica and the internet here is as slow as the sloths 🙂 And you always must be careful of the dangerous critters! Awesome Shai. You will have to let me know if you try any of my suggestions ? I sure you would love it! We are a very friendly bunch and if you have relatives here you already have a cheap place to stay ? There are the occasional rude people wherever you go. Nothing much we can do about that. 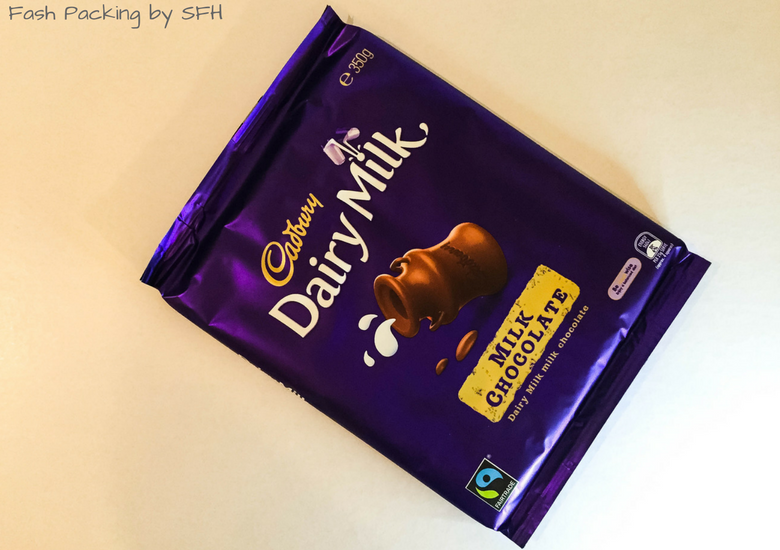 The Aussies here in my country, some of them I have devoured… literally. (Australian beef, that is.) I love the way you write. Honest and witty and that is how I think Aussies are. At least that is my impression. After reading and looking at your posts, I’d say I have a better understanding of Aussies and more about the beautiful city of Sydney. It would be such a pleasure to have the opportunity to visit one day. Thanks Robert! Agree people can be rude anywhere and I have managed to find them all over this planet lol. I’m not quite sure why they are all drawn to me. And yes Aussie beef is the best!